1. Antiques.com is operated for the purpose of effecting safe, honest, and reliable transactions between Buyers and Sellers. 2. Antiques.com shall not be liable for any special or consequential damages that result from the use of, or inability to use, the materials in this site even if Antiques.com or an Antiques.com authorized representative has been advised of the possibility of such damages. Applicable law may not allow the limitation or exclusion of liability or incidental or consequential damages, so the above limitation or exclusion may not apply to you. Antiques.com's total liability for all damages, losses, causes of action (whether in contract, tort including, but not limited to, negligence), etc. shall not exceed the amount you paid to Antiques.com, if any, that is related to the cause of action. 3. Antiques.com may refuse service to anyone at any time for any reason except as specified by law. 4. Antiques.com users must be of legal age and able to enter into a legally binding contract. 5. The sale of illegal items and/or illegally acquired items, including counterfeit goods, is expressly prohibited. Antiques.com will end the listings of such items upon notification by the legitimate trademark, copyright holder, or other credible source. The Seller of such items may be subject to expulsion. 6. Antiques.com cannot guarantee Sellers will complete the sale of the item, or that Buyers will pay for the item. All risks are taken and assumed by Buyers and Sellers. These include, but are not limited to, persons acting under false pretenses, underage persons, or foreign nationals. 7. Payments and terms must be agreed upon between the Buyer and Seller. Antiques.com does not get involved in additional transactions between Buyers and Sellers. 8. Antiques.com does not assume any responsibility for any inappropriate use of the Antiques.com system, for any false demographic information, or for unsolicited commercial or non-commercial e-mail to other users ("spamming"). 9. Antiques.com will not alter or delete listings after they are posted, except to conform to rules or to remove listings as per the terms in this agreement. At its sole discretion, Antiques.com reserves the right to move listings from one category to another or remove listings as appropriate. 10. Antiques.com may remove information without notice and cannot guarantee preservation of records, at its sole discretion. 11. Antiques.com users may only use private information available about each other to facilitate Antiques.com related transactions. Any other use of private user information, other than as expressly permitted by these Terms and Conditions, is strictly prohibited. 12. Antiques.com is not responsible for damage or loss caused by errors in the system or by interruption of Internet traffic. You use Antiques.com at your own risk. 13. The contents of Antiques.com are the exclusive property of Antiques.com, copyright Â© 1998-2012 and may not be reproduced in ay form without the prior written consent of Antiques.com. "Antiques.com" and the Antiques.com logo are trademarks of Antiques.com and may not be used without the express written consent of Antiques.com. 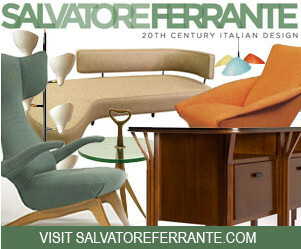 Antiques.com banners and links are available for placement onto web pages. Any questions concerning the use of Antiques.com or the Antiques.com logo, please contact advertise@antiques.com. 14. The laws of the Commonwealth of Pennsylvania, excluding its conflicts-of-law rules, cover the listing rules and these terms and conditions. As previously noted, your actions may be subject to other local, state, and national laws. You expressly agree that exclusive jurisdiction for any claim or dispute resides in the courts of the Commonwealth of Pennsylvania. You further agree and expressly consent to the exercise of personal jurisdiction in the Commonwealth of Pennsylvania in connection with any dispute or claim involving Antiques.com. 15. Antiques.com Rules and this Disclaimer's current Terms and Conditions supersede any prior agreements between you and Antiques.com and may be amended from time to time by Antiques.com at its sole discretion. 16. Antiques.com disclaims ANY WARRANTIES, EXPRESSED OR IMPLIED, ON GOODS OR SERVICES OFFERED BY ANY SELLER OR FITNESS FOR A PARTICULAR PURPOSE. 17. Antiques.com does not assume any responsibility for the content or description of the listed items. Antiques.com cannot take any responsibility for the quality or authenticity of the items presented by any Seller. 18. The Seller assumes any liability or risk arising from their offer for sale of their items. 19. The Seller agrees to pay Antiques.com nonrefundable posting and listing fees, if applicable, when listing an item on Antiques.com. The Seller agrees that these fees do not purchase exclusive rights to a web page on Antiques.com but provide a listing on an Antiques.com owned web page. The Seller acknowledges that Antiques.com may, in its sole discretion, and without consent by or remuneration to any Seller, place advertisements on any web page within the Antiques.com site. 20. Antiques.com reserves the right to delete and remove any posting at our sole discretion and without notice. 21. Antiques.com reserves the right to reject any advertisement at our sole discretion. 22. Antiques.com reserves the right to move any advertisement at any time regardless of the amount of time the advertiser has purchased. The advertiser will only be reimbursed for any unused portion of the advertising period. No refund will be given for the time the ad was posted on Antiques.com. 23. Antiques.com disclaims ANY WARRANTIES, EXPRESSED OR IMPLIED, FOR ANY ADVERTISING DONE THROUGH ANTIQUES.COM AND/OR ANY ADVERTISEMENT LISTED ON ANTIQUES.COM. 24. Antiques.com does not assume any responsibility for the content of any advertisement posted on Antiques.com. Antiques.com cannot take any responsibility for the ads posted by any Advertiser. Looking for a great place to advertise? Antiques.com represents the best value available in the antiques, fine arts and collectibiles arena. With thousands of impressions per day, your ad will display prominently in our right column on every page (rotating randomly). For more information, please click here to contact us and we will be happy to assist you.